Wikimedia Commons (see my Lines and Colors post here), the huge, mostly public domain image repository associated with Wikipedia, has a nice aspect to its organization that lets you view a broad variety of art organized by year, decade or century. These are just a few paintings from the (apparently splendiferous) decade of the 1660s. As much as I love 19th century painting, I think I have to vote for the 17th century as the high water mark for the art of painting. Here is the Wikimedia Commons page for 1660s paintings. See my similar Lines and Colors post on 1880s paintings from Wikimedia Commons. I’m continuing to write articles on painting for Painting.Answers.com, some on materials and techniques, some on painters and paintings from history. Here are my most recent articles, the first three of which use a new slideshow format. For more, see the general category: www.painting.answers.com. In what should have been an annual tradition, but was apparently dropped for a time, art museums in the two U.S. cities sending teams to the Super Bowl are again engaging in an art loan wager. 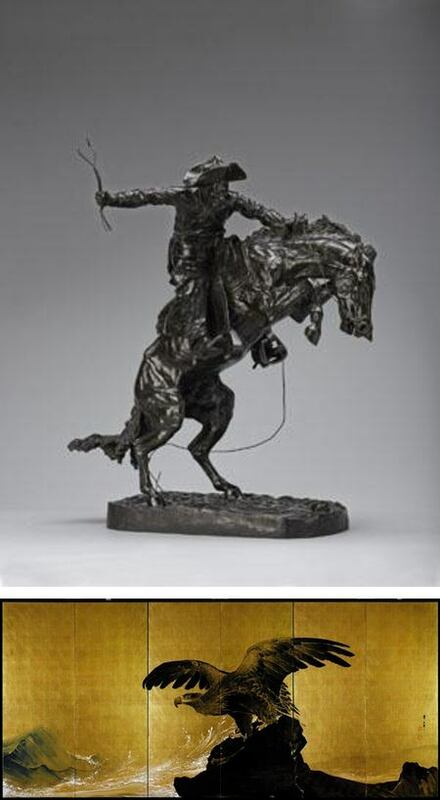 If the Seattle Seahawks win, the Denver Art Museum will loan “The Bronco Buster”, a sculpture by Frederick Remington, to the Seattle Art Museum for three months. If the Denver Broncos win, the Seattle Art Museum will loan “Sound of Waves”, an ink painting on screen by Tsuji Kako, to the Denver Art Museum. Each museum is staking the loan of an artwork that can be taken to represent their city’s team in some way. For more on the art loan Super Bowl wagers from 2011 and 2010, see my previous Lines and Colors post on the subject. For more on this year’s wager, see this article on the LA Times. Stock Schlueter is a painter from northern California, who excels at capturing the light and atmosphere of that region, as well as more exotic locations from his travels. Previously a watercolor artist, Schlueter switched to oils, and works both on location and in the studio for his landscapes. 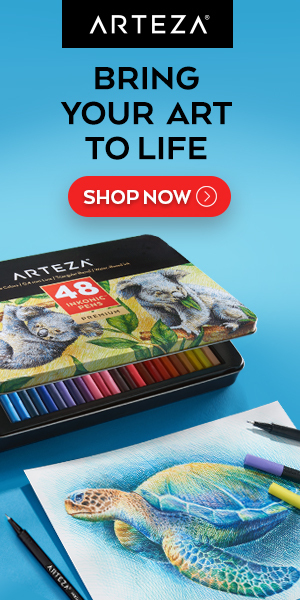 His website has a portfolio of both plein air and studio work, as well as a selection of portraits. On his blog, you will find both, often reproduced larger, along with descriptions of the locations and conditions for the individual paintings. I particularlry enjoy some of Schlueter’s more unusual subjects, like industrial night scenes and weathered old trucks in snow. “Ars longa, vita brevis”, goes the phrase (Art is long, life is short), but then, some art is much more temporary than most. The art of Andres Amador, though ostensibly made of “archival materials”, lasts only until the next high tide. Amador takes his rake to the beaches of northern California and creates carefully controlled markings in the sand, then photographs the result. You can read more about his process on his website. There is also a gallery of his work here. Wow. I just love these direct, observational landscapes from Corot — filled with light and the feeling of immediate atmosphere. You can see why the Impressionists thought so highly of him. Original is in the National Gallery of Art, D.C. The image on the linked page is zoomable. Click “Download” for larger images. You have to create a (free) account to download the high-resolution images.